You know when its a cold day and all you want is a hot cup of soup that warms the inside of your throat as you take each sip? I experienced that exact feeling last night. Melbourne’s weather isn’t exactly “solo seasonal”, in fact, we usually get all 4 seasons in one day! (Crazy, I know!) Like yesterday it went from being sunny and humid, to spitting showers, back to sunny, then to rain back to….. okay, kayleigh, I think they get the picture. ANYWAY, as I had a few pumpkins harvested I thought why not make some pumpkin soup? Yum! 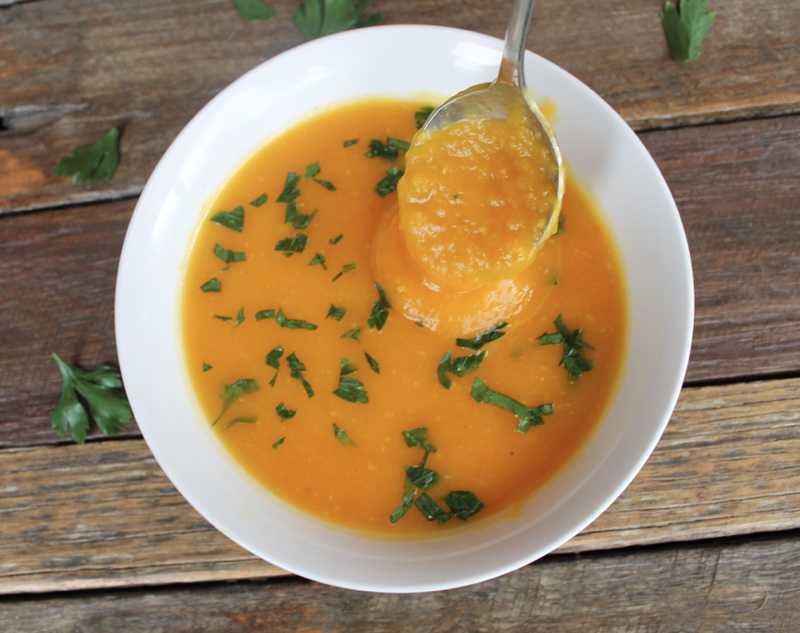 Pumpkin soup is one of my favourites and always makes my family happy.. (its food, who wouldn’t be happy about food? Hehe) Its nourishing, simple and the addition of turmeric, garlic and onion intensifies the delicious flavour, leaving you going back for seconds! Because I get bored really easy eating the same thing over and over again, I like to vary how I serve this: poured over poached or grilled chicken with vegetables, as a casserole base, the base of a stock or with whatever I have left in the fridge. I also use pumpkin in desserts tarts, custard, pancakes, stir-frys and salads- grilled with some chicken and a creamy homemade honey mustard sauce for something a little different… and in some cases…. a little wacky and odd!…. I tried making a pumpkin pie once and failed miserably! Haha! You should allow about 2 hours to make this but if you are short on time modify step 1 by boiling on high-heat for 20 minutes. Then follow through with step 2 and 3. 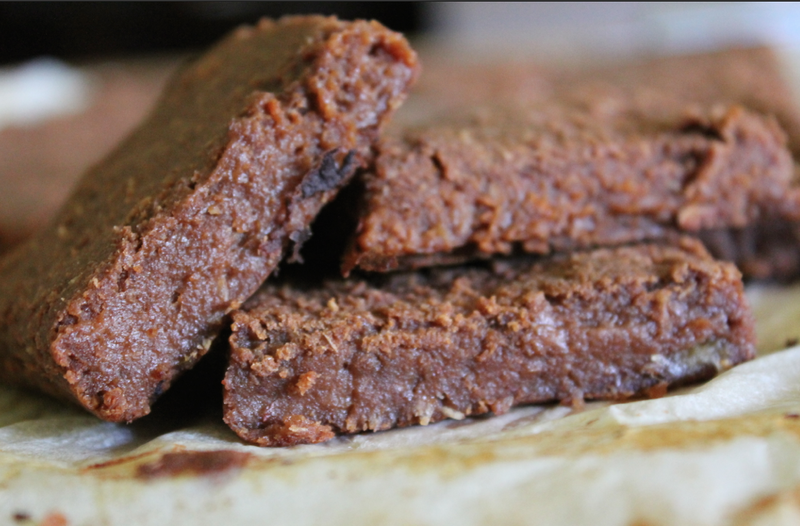 Top with parsley and serve with a slice of rye / sprouted Ezekiel bread, or nut crackers. There you have it- a thick, creamy and flavour-packed lunch or dinner for under 105 calories per cup! FOLLOW Body of Nature Nutrition on Facebook, Twitter and Instagram and don’t forget to SUBSCRIBE via email (form in right side column) for your chance to WIN a copy of my soon-to-be-realised EBOOK! 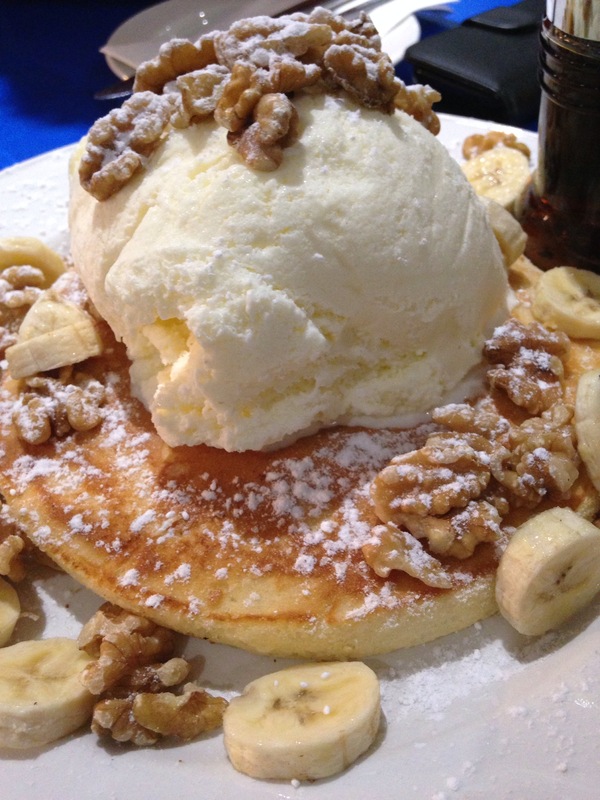 This is how it went down (in disjointed short sequence): I went out for dinner to Lazy Moes with family and friends and was asked if I wanted to try some banana pancakes with walnuts and maple syrup. “Uhhhhhh, I’m not sure. I just ate like 200g of grilled fish and salad…” “C’mon at least try it..” “Okay. Fine. But tomorrow I know I’m going to feel it..” so I dug in and ended up eating ¼ of the EXTREMELY LARGE pancake (+ icecream 🙈)… So to say, I felt it this morning. Yo, imagine eating that whole thing!.. Yikes! Did I enjoy it? Hell yeah!.. Do I feel guilty? Hell no!.. Am I going to run it off? No… because I can’t run… But will I squat it off? Probably..
GLUTEN, DIARY FREE | HIGH PROTEIN | CLEAN. Let mixture sit for 2-3 minutes to thicken. While waiting, melt coconut oil in small frypan on LOW heat. Using a large spoon, scoop pancake mixture into pan and cook for 2 minutes each side. Serve on plate and enjoy with peanut butter and strawberries on top. Re-creating these? Make sure to tag @bodyofnature and hashtag #bodyofnature on instagram; and/or tag Body of Nature Nutrition on Facebook so I can see your creations!